"Phenomenal" "Truly T﻿﻿ransformational" "Mi﻿﻿raculous!" "Extraordinary"
"The Best Experience of My Life" "Gene's The Real Thing!" "Astounding!" "Truly Amazing and Uplifting" "Astonishing" "Awesome!" "Changed My Life!" ​"One of the Best Healers on the Planet..." "Brilliant" "Profound" "Reputable" "Gifted" "Honest" "Unbelievably Powerful Energy Healer!" "Magical!" Scientific Testimonials from Two Highly Respected Researchers! "The Genie is out of the bottle. And, yes, Gene gives you three wishes. If you are looking for a heavy duty, Industrial Strength ZPF (Zero Point Field) energy healer who can peel away your stress like an onion and leave you feeling tears of Joy, then Gene Krackehl is truly the amazing healer who delivers the goods. We bio-mechanically measured his energy fields before/after a 3-hour healing session on 5/24/04 at 2 PM. All of his fields were balanced and solid. His before-session primary composite field measured an amazing 92 feet (most enlightened people have primary fields that measure 50 feet and the average person carries an unbalanced 3 foot field). Gene’s first Chakra measured 55 feet, second 100 feet, third 170 feet, forth 197 feet, fifth 225 feet, sixth 331 feet, the seventh 418 feet. All of his fields doubled after the session, and his client’s fields doubled as well. At 5 PM, Gene’s primary field expanded to 153 feet, first Chakra 111 feet, second 202 feet, third 324 feet, fourth 431 feet, fifth 544 feet, sixth 758 feet, and the seventh 977 feet!" --Gene C. Lavers, Ph. D.
Professor of Biochemistry and Basic Medical Sciences, former Chairperson of Biochemistry and Director of the M.S. and Ph.D Programs in Basic Medical Sciences at NYU Medical and Dental Schools in the NYU Graduate School of Arts and Sciences, and Practitioner/Researcher of Energy Therapies. Member, International Society for the Study of Subtle Energies and Energy Medicine. "I have studied esoteric healing techniques for over thirty years that include 12 years in Turkey (Sufi Healing), seven years in Thailand, three years in the West Indies, and 15 years in California. In my opinion, Gene Krackehl is the Best of the Best of the Best energy healers. His three-hour sessions are truly transformational…"
—Ed McClelland, M.S. Principle Engineer (Ret. ), Loral Electronic Warfare Systems, Energy Therapist and Researcher, trained with Marcel Vogel, Ph.D., at the Psychic Research Institute (PRI), San Jose, CA, and with Leonard Laskow, M.D., Author of Healing with Love. "...there's an extraordinary healer you should know about who lives and works in Katonah. His name is Gene Krackehl... he comes recommended by M.D. 's, psychiatrists and legions of patients... I can personally testify as to his effectiveness having observed a major breakthrough he recently made in the healing of someone near and dear to me." I am confident of Gene Krackehl's integrity. He is the real thing; an authentic healer." "The doctor told me emphatically that the metastices in my liver would not go away. Three months later my liver is completely clear. I encourage anyone to include Gene Krackehl's services as part of their holistic approach to healing." "Gene has changed my life in so many positive ways that there are no words that could encompass the enormity of what he has done for me. For all those who have not had an opportunity to have a session with Gene, you have no idea what you are missing." "WOW!!! That was the word I used repeatedly with my husband after seeing Gene Krackehl for an energy healing session. What a gift he is too me and I accept it with open arms. Gene provided such a loving and safe environment in which to let go of years of built up heart break, anger and fear. I've spent tremendous amounts of time and effort in many different therapies to deal with the issues and events of my past. Just when I thought I was "finished" with it all, it would creep back in one form or another; in body, mind and/or spirit. Gene saw it all, even that which I was too ashamed to put into words. He saw it, accepted it and helped me wash away the hold it had on me. Nothing was left but the "unconditional love" that filled me up and continues to do so every day and moment since. I walked out of our session so light I could barely feel my feet on the ground. I cannot thank him enough. Gene also helped me to further acknowledge my spiritual and energetic potential. Every day I have drawn from the earth's red energy and the universe's unlimited love. WOW!!!! WOW!!!! WOW!!!! I expand every day. I feel my role as a mother, wife, sister, daughter, friend and massage/energy therapist has been enhanced exponentially. I am so glad to have met such a wonderfully brilliant gem in this vast universe. Now I know we have always known each other in one form or another. The connection to any and all beings is ever present if we open ourselves to it. Funny, the loss of connection has for many years, been one of my greatest fears. No longer." "Indeed, I had the privilege of seeing Gene's healing in action when a group of us were filming a pilot for a potential television program called Access New Age about 5 years ago. Gene was one of the guests and he performed a heart healing on one of the co-hosts. She began to cry on the set! She said that she felt like a weight had been lifted off her heart after Gene's healing session. I think Gene is right when he says that a lot of emotional issues can stress our physical health. Thankfully Gene is there to lend a helping healing hand. Or is it hands?." "I was diagnosed with colon cancer in Oct. 2002 which was cleaned up. In Oct 2003 I had 6 lesions on the liver. I went to Gene Krackehl and I had a very spiritual experience. I believe he was a part of my healing. I no longer have cancer on my liver. Between God, Gene and good doctors I am healed." "I have been struggling with an irregular heartbeat, which has incapacitated me since my recent heart surgery. During a healing session with Gene Krackehl, my heart returned to its normal rhythm." "Had to write to tell you, tonight I had the very best lesson I've ever had. I was free-er than I've ever been. It was the best time of my life. Thank you from all that I am. It was fabulous. I had a FABULOUS time. I can't think of a better word to discribe it. I couldn't have gotten to this place without your healing help! Thank you, thank you, thank you!! I am absolutely thrilled!" "I've been transformed by the good fortune of receiving a loving healing from Gene Krackehl's hands and high spirit. My mind is still filled with the encouraging words he poured into my ears." "My mother lay in a Jacksonville hospital for three months, sustained only by life support, when I had a chance conversation with Gene Krackehl. Not only had my family been told she would not recover, my brother, a physician, and I could see this for ourselves. When not fully medicated, however my mother's mind appeared in tact. She made it clear to her doctor and to us she did not wish her ventilator turned off. She was not ready to relinquish this last vestige of her life. Hearing of my mother's plight, Gene offered to send healing energy to her from Katonah, NY to Jacksonville, Fla. A skeptic by nature, I thanked Gene for his kind intentions but insisted it would have no effect. "Sometimes it helps people to get strong enough so they can accept their death more peacefully," he told me. Thus I was absolutely dumbstruck when two days later my brother called to tell me my mother was off the ventilator and breathing on her own. There followed a period of almost two weeks when we could be with her in a more humane setting. Inevitably, the life support became necessary again. But this time my mother refused it. She grew far calmer during this interval and finally slipped away in peace." "If I were to paint you a picture of my psychic life, I'd paint a picture of a rather large room, and over in one of the corners would be a pile of darkness. That pile has been there all my life. Much of the time, it sits there. But there have been times when it has grown in power and volume and threatened to overtake the room. During years in therapy, I've come to understand probably about 80% of what it contains. The remaining 20% is a mystery and I'm comfortable with it remaining a mystery. At times, this pile of darkness represents and symbolizes depression. At other times it brings fear or anxiety. It is always a presence of negative energy that torments me or brings me down. However, I'd also say that this darkness has also taught me a great deal. It has taught me how to appreciate suffering as well as being a source of suffering for me. If I'm able to work with people in their suffering, it is due in part to this presence of darkness. I use it in my poetry and my preaching. It grounds me in my wounded self, my groaning, and that is not always a bad place to be. 1. I had a major psychological insight that is having a major positive impact on my relationship with my children. 2. I've written four poems. 3. I've developed new relationships with two friends that I can already tell will be deep friendships that will last for many years. 4. I wrote a statement on the environment that I presented to the Clergy Association and it has been unanimously approved. This is the first time in the state of Connecticut that a clergy association has made such a statement. 5. I presented a proposal for the top 40 leaders in CT. to hold a retreat to focus on issues of sustainability and the environment. The Board of Selectmen, the Board of Education, Planning and Zoning Commission, clergy, business leaders, presidents of conservation groups and representatives of civic groups will be invited. Private funding has been secured for the facilities and catering. The Clergy Association and the Action Committee for the Environment are now co-sponsors. 6. I was elected Vice President of the Ridgefield Action Committee for the Environment. 7. I have begun work on producing a CD that will contain eleven meditations. I've written three of them and outlined the remaining eight. 8. For years I've thought about writing a book, and in the past week I had clarity about what I wanted to do. I've begun work on a book proposal and outlined 12 chapters. 9. I've developed a proposal to lead a 10 week series on spiritual development that has been accepted by a church in Danbury and will begin in September. 10. I've had more referrals in the past six weeks than at any other period of my 30-year career. My income in March is up 75% over the same period in January. I'm doing the best work I've ever done as a psychoanalyst. 11. I've found a way to negotiate a solution to what was expected to be a lengthy and expensive lawsuit against me. 12. I had a letter to the editor and a public opinion commentary published in the local paper. 13. I've been asked to write a magazine article for a national publication. 14. I've joined a new church and already been asked to join the steering committee of the Church Council. 15. I've been asked to join the steering committee of a major regional non-profit group. 16. I've been invited to speak at two churches and invited to preach at another. "I can't wait to come back to your beautiful and powerful space. I felt so alive, my energy was flowing so vibrantly I could feel it, in fact it was so apparent to me that when my pattern of bracing against the natural flow, be it breath retention or muscle tension, I was aware that the flow of chi had changed. I was able to consciously reconnect body mind and breath and the energy flowed freely again. After all my yoga, reiki, mindfulness, a session with you cleared, clarified and illuminated my spirit so powerfully that I could see and feel my essence. What an experience. I'll be back ASAP!" "Truth in advertising — you ARE, in fact, pretty stinkin' amazing!" "Since our energy healing session, I feel SO much more confident in my abilities and feel like I can take on the world! Thank you so much!" "...The most remarkable thing is the almost complete absence of pain in my gall bladder and kidney areas. I have had ongoing pain in these regions for years and it's hard to believe it's not there. It's amazing." "I so appreciate being able to experience your amazing healing abilities & amazing it certainly was. What an infusion of love & warmth & compassion — just astounding. The shamanic journey was an added blessing — extraordinary!" ​"I just wanted to thank you again for all you gave of yourself and how much I was able to release in myself. I feel lighter and so much better." “I wanted to write and say thank you for our session today. I came to see you from Omega Institute because we were talking about energy work there and I couldn't believe one of the world's best-known energy workers was right here within a 1 hour ride. Now that I've seen you I would have flown halfway around the world for our session. Your insight, wisdom, and obvious ability to work with energy in a miraculous way has moved me. “My session with gene was amazing. He is the most amazing kind-hearted genuine human I've ever met in my life. During our session I could feel negative energy leaving my body. Felt as though a huge weight had been lifted off my shoulders and everything I'd been worried or stressed about in life was gone. Also, I started to tear up during our session. I've never experienced the feeling of true genuine love of that magnitude. Being around Gene you feel safe and loved beyond belief. He healed the hole I've had in my heart since childhood. All the negative memories and feelings are no longer with me. “Most extraordinary experience ever!!!! Only healer that IS TRULY A HEALER!!! Amazing astounding gift!!!! Can't wait to see Gene in person!!! !”—Deborah Long, N.C.
"I want to say thank you, for all you have done. You truly are an amazing healer. Being diagnosed with an extremely rare cancer this summer has been overwhelming for me. When I came to see you the first time, before my surgery, I thought I was imagining the whole experience - as I couldn't believe how in tune you were with what I needed. You felt where I hurt and were able to release some of my pain. Your kind words soothed me. You reminded me to relax! When I saw you weeks later while I was recovering, I was so emotionally blocked...unable to feel anything due to all the trauma I had been through. I was almost numb. It felt awful. I felt such a release of emotions within 10 minutes on that table and then throughout the next 24 hours that followed. You sensed where I was "stuck" and you literally moved me along with love and gentleness. I have been doing so well since! The energy that radiates from your hands is absolutely amazing. "I came to see Gene on a lark after picking up his book at Touch of Sedona in Ridgefield. I had no expectations whatsoever, thinking it would be an interesting life experience even if it didn't work. It was a wonderful, profound experience for me just being with Gene, but what shocked me the next day was not only that my knee (which had suffered sharp pain for over a YEAR) no longer hurt (nor did it ever hurt again thereafter) but that there was actual physical evidence of healing on my knee in the form of a yellowish greenish bruise (not the blue-black sort of bruise you see just after an injury but the yellowish sort that appears long afterward as the healing is nearly complete). Gene had applied only the warmth of his hands and spirit to that knee and somehow he had put it aright. I took a picture of that bruise just so that I could remind myself that something real and physical had occurred, i.e., it was not just a mind-over-matter, placebo type of thing. My daughter was really amazed by Gene's touch and by his gentle, healing spirit and I think he was able to unlock hurts that she didn't even know were packed away deep inside her. I had told her she was about to meet the nicest, most loving person she was likely to meet in her whole life, and afterwards she agreed I was right (she thinks I'm given to hyperbole, but she agreed I had not overstated in his case). What I'm most indebted to Gene for, however, is his healing of my son's spleen after his snowboarding accident. That one scared me to death but it was such a comfort that he was willing to apply his magic long distance. He recovered with nothing but a small scar on the spleen and gained from the close call in terms of learning that he is not invincible, as most teenage boys believe they are." "Excellent! I have read a lot of books on healing. This book is exceptional! Not only is it easy to read and understand but it is also written by someone who knows of what he speaks. I had the experience of a distance healing session with Gene Krackehl this past week. He is the real deal. I have had other healing sessions but none that were as in-depth and to the point as Gene's. Besides the quality of the healing session, he is a beautiful human being - kind and caring. For anyone interested in energy healing, this book is a must. I also highly recommend a healing session. I had immediate changes." "I went for an EKG after Gene worked on me and my doctor looked like he would jump for joy because the EKG was perfect! He wouldn't take me off meds and wanted to wait another month. When the next EKG was perfect a month later he took me off Coumadin and another medication. He told me that in the past I would be on Coumadin for life." "Thank you, Thank you, Thank you! I came to you with Lyme Disease with the physical and emotional pain connected to it. I had trouble with many daily activities like putting on a seat belt and carrying my delicious 3 year old. The morning after I saw you the pain was about 75% gone and in just 2 short weeks it has just about disappeared. I also feel lighter and freer. Thank you for changing the course of my life." "Gene Krackehl is truly a gifted energy healer! I have had arthritis since childhood. Recently I have had joint replacement surgeries and have also received physical therapy for many years. I came to Gene at the recommendation of a friend, and left with an overwhelming sense of physical, emotional and spiritual healing. But the unique outcome of Gene's healing is that this "healing" continues to grow long after his session. He unblocks and clears all "stuff," which gets in the way of our "true selves." I am still smiling a bigger smile every day I awake, and I am amazed by the lasting effects of his healing. Living life easily and loving every day has become a natural outcome of my session with him. Give yourself the gift of a session with Gene; it will unleash the "real you"! I wish you all this much happiness and love!" "...injured my shoulder, had months of painful physical therapy, progress came to a stand still, even tried acupuncture, kept hearing and seeing things about energy healing, liked Gene Krackehl's style, decided to try it, within 24-48hrs after the healing, had increased range of motion in my shoulder, and was pleasantly surprised to feel a sense of improved self confidence, energy, and mental clarity." --CM, R.N. "My session with Gene Krackehl was one of the best experiences of my entire life. I feel like I released years worth of pain, anger, fear and grief that I was holding inside. It was such a healing experience, so full of unconditional love." "I'm sure that Gene Krackehl's distance healing helped my mother-in-law. Her recovery, according to her doctors, was miraculous." "This weekend, now two weeks after my session with Gene I felt a lot more at peace and happier... feel like I did release a lot more than I was aware of during our session and I am not as afraid to move forward. That day was one of the best experiences of my life and am very lucky to have been led to Gene. I would now love to attend one of his workshops." "I want to share an experience I had at the doctor's office this morning. During the IVF process the patient has to have a daily blood test & ultra sound for 2 weeks to monitor follicle development & hormone levels. When I went this morning the ultra sound tech asked if the doctor changed my medication yesterday (he hadn't). The tech commented how much my follicles grew and how much better they looked from yesterday morning - she actually recounted the size as she said it's crazy! Apparently, once follicles begin to reach maturity they grow at a rate of 1-2mm per day and mine grew 3mm!!! I wish I had come to Gene sooner. I have been doing acupuncture (which is good for fertility) for 7 months and just after one session with Gene I saw such results. Gene is truly amazing!!! I am so glad I came to see him!!!" "...The change in me is a miracle..."
"Gene is so amazing! He helped put things in perspective and I have a clearer vision of what I should do." "After Gene's distance healing, my Dad had his best night in many weeks. Incredibly, he has not needed any pain medication yet today. He ate a bialy and was able to talk to me on the phone! My Mom, who was quite skeptical, said that Dad is very comfortable, and calmer…"
"My sister-in-law was in a comatose state after suffering a heart attack, stroke, and seizures. She was unresponsive for more than three months with no expectation for recovery. The family was about to call in Hospice when a friend told me about Gene's long-distance healing. Shortly after he began sending her energy, she started to open her eyes and focus, then she began to respond to simple questions, now she is moving her arms and legs and speaking short sentences. Her progress has been slow but steady and we are hopeful that she will continue to recover." "Gene was amazing. He made me feel relaxed and over a week later, I still feel calm and rejuvenated. I should have seen him years ago." ​“My 26 year old son sustained a traumatic Brain injury as a result of a brutal assault in Boston. We were left to navigate health care systems while praying for my son's survival. Two years post injury I found the genie. Gene was able to feel my care givers stress and give me hope, peace and life purpose for both myself and my son. Amazing grace.” —Rosemary C.
"Gene Krackehl is undoubtedly an amazing healer. There are innumerable healers across the globe; some are average, some are good and some are excellent. He falls into the Excellent category. There are a few reasons for this: Gene Krackehl sir is full of unconditional love, compassion, sympathy as well as empathy. His healing works instantly and you can feel his healing energy being showered on you like a cool breeze. He is highly intuitive and that is what separates average healers from the amazing healers. ​He is also very kind-hearted and he listens patiently to you." "I was referred to Gene through a family member who recognized that I was struggling to balance so many stresses in my life. This family member actually gave me a gift of a gift certificate to see Gene because she so rightly saw that I had been feeling “stuck” in so many ways in my life. I was starting to feel constantly overwhelmed, like I couldn’t breathe. I am a mother of 3 children who works in school districts as a therapist. It is a rewarding exhausting job that requires me to give of myself physically and emotionally. Even though I am a physical therapist and have access to many different professionals, and had actually been getting help for a long time through therapy and through different pharmacological interventions, these strategies just weren’t sufficiently bringing about any lasting sense of calm, control, or clarity. Although I have always been praised for my ability to help others, and recognized for my sweet, calm, and positive temperament, I have for years suffered from feeling unresolved anger, anxiety, unhappiness, restlessness, and emotional confusion on the inside. This imbalance between the inside and the outside creates a feeling of being unsteady all the time. I always felt that if I gave to others, and tried to see the good in things, that the positives would come back to me. But that sense of emptiness just wasn’t going away. It just stayed there. Like a big hole of sadness. Over the past 20 years, I have tried so many different “modalities” —both conventional and non-conventional--one might call them. These include: yoga, holistic nutrition, traditional exercise, talk therapy, anti-depressants, Reiki, Alexander Technique, and also reaching out to people who offer different kinds of support. But each of these techniques, while being valuable in their own way, always seemed to “fix” one ailing system but other systems would absorb the stress. My overall being just held in so much “stuff”, “baggage”, “trauma” that was just getting heavier and heavier and harder to lug around. Every person has events they go through and it is not so much the events but how they are processed that seems to determine how we feel about ourselves at any given moment: whether we anticipate the future with excitement or fear or worry or impatience. There are so many valuable lessons I have learned from talk therapy and with all the intellectual insights I gained, I still felt broken, sad, unresolved about many things in my life. When I think about how Gene has brought about such a transformation in my life, I immediately get tears in my eyes. I just cannot even put into words how my world has changed, but I will try. All the different systems that have been struggling to be aligned in my body and in my mind, have a path now. I have had two visits with Gene and cannot wait to see him for more. The first time was for 3+ hours, and he listened and I cried, and he healed so many broken jagged pieces that had been just laying there for decades like a ship wrecked at the bottom of the ocean. He, with his patience and his empathy, and his wisdom, helped me release and let go of all the things that were weighing me down. It was a physical and emotional and a spiritual release of so many pieces which had been weighing down my body and mind for so so long. I think part of the blessings of his gift is the way he answered all the questions which had been circling around in my head and my body for such a long time like junk in the atmosphere. He has an understanding of the heart and of the soul which allows him to just know things and feel things without my having even knowing how to express them. Part of the healing is his work on the chakras which is an absolutely amazing experience that heals and releases and aligns. He could feel the tightness and the tension and the traumas and just helped get them out and helped my body and mind realize that they don’t need them and then he replaced the energy with love and strength. At one point, he asked me if I had fallen down the stairs as a child. I said, “No, but I did fall off my bike as a teenager.” He said, “Oh, okay, I felt something there.” Then we continued with the treatment session. And he let me know that I would start to see and feel and hear things more intensely and differently, and he was right. I have. But then an astounding thing happened when I suddenly woke up at 2:30 a.m. that night. At that moment I remembered that my parents told me that when I was 3, I fell down a whole flight of stairs in our first home where we lived until I was almost 4. I just kept saying to myself, “oh my god. Oh my god. How did Gene know that when I didn’t even remember that that happened?” It was such a sense of comfort and confidence in knowing that my healing had begun. It was just washing over me and through me. There is not enough room here to go into all the details of this incredible relationship that I feel with Gene and how grateful I feel to him for helping me to heal. I must say that since then, I have since returned for a “tune-up” which was actually again such a truly generous gift from the same family member! This 2nd visit was a truly life-changing experience because Gene addressed a very specific area that was still making me feel stuck. He made such an astounding revelation that came about through the combination of our discussing the most important relationships in my life and him being able to feel where I was still stuck. Because he knew my “issues”, he made such an unprecedented insight into something very personal that I had never discussed with anyone before. It just blew my mind and it blows me away every single time I think about it. I am so glad that I went back for the 2nd time, and now I know that I will always continue to go and see Gene. He is an incredible, generous, wise, gifted empathic soul. Another thing he helped me realize is how my “big heart” as he calls it, absorbs so much of other people’s stuff, and all the things that we worked on in the first session were reinforced and made even clearer. I had been having some GI distress which is so significantly better since seeing him. On top of feeling better physically, there have been so many changes in my emotions, and this is something that continues to improve and evolve into a liberating journey, rather than the feelings of being a broken record of feeling stuck in so many areas of my life. I have taken chances in trying things I have wanted to do for years. I have seen things in my world begin to change because I have changed. And another very important thing has occurred: the intensity of my emotions is something I am so excited about, rather than being overwhelmed by. I feel like I can share and care and express myself to the people I love and tell them that I love them. Especially my children and the children I work with. The emotional freedom that I felt as a child is still inside me and has always been there. It just got buried along the way along with the fear that it was gone forever. "Gene Krackehl truly IS an amazing healer. Gene's healing sessions have truly been a life altering and transformational experience for me. While years of therapy have helped me understand certain issues and traumas that have occured in my life on an intellectual level, the energy Gene channels created alterations and healing on the cellular level, literally transcending old imprints and traumas that have been lodged in my body. This is what I call healing from "the inside out" and its effect is profoundly helping me move forward in my life in a way that I was not able to before. I think that Gene links us in directly with Source and our guides. I have only the greatest respect and gratitude for this loving soul and his ceaseless dedication to this work." "I was very depressed when I went to see Gene Krackehl. After our session I immediately felt lighter and more joyful. I feel more open and free than I have ever felt before. Gene created a space where I could not only receive unconditional love but give it as well..."
"In one session with Gene Krackehl, I cleared old issues and emotions that I had been struggling with for years. The immediate feeling was euphoric; the lasting effect has been phenomenal. Positive changes continue to roll in and my energy increases daily on both a physical and spiritual level as old "blocks" continue to drop away. Gene virtually radiates love, warmth and safety — a rare and powerful combination that allows the deepest healing to occur. I recommend Gene highly and without reservation to those seeking a loving, transformative experience." "Gene Krackehl's healing abilities go far beyond just touch. I feel as though Gene can sense my energy, and re-arrange its direction to heal and protect my body and soul." "Gene Krackehl is a truly gifted healer whose very loving and compassionate nature shines through his work. I could feel the energy streaming out of him even before he started, when he was simply waving his hands around to make a point when we first met. The healing session began with Gene scanning my chakras and organs to see where there were blockages and he was "right on" with his assessment. The two hour session involved a relaxing guided meditation, some gentle touch at meridian points in arms and legs to get the energy moving, then clearing and recharging the 7 major chakras. Gene spent a great deal of time removing fear, anger, and heartbreak utilizing some special techniques he developed. I was very aware of the heaviness lifting out of me. At the same time Gene pumped in mega-watts of energy to recharge my chakras. When I got home that night and was ready to fall asleep, I could see a beautiful kaleidoscope of brilliant colors swirling around when I closed my eyes so I know it worked. I'm looking forward to taking his series of Energy Healing classes so I can learn how to channel healing energy from a Master." "Gene Krackehl came to me when I was in need of emotional and spiritual support, through a pamphlet I picked up at the health store. I called his number at 9:30 at night and much to my surprise his warm and caring voice answered. His unconditional love and support have been so valuable to me and I have relied on him to help me through so much emotional and daily ups and downs." "Your healing has worked! I may come back for more soon, but I drove to the lake with no vertigo yesterday! "I thought it was quite beautiful to see how every person in the group was visibly transformed from the time of beginning the class to last night. People who seemed to never smile were now open, unburdened, glowing… I know how Gene feels that any one can be a healer but his gifts are extraordinary, his being so pure and full of love…"
"Gene came to teach a class at my shop, Seasons in the Sun, after he'd been recommended by a friend. I was impressed with his personable and cooperative manner, his excellent teaching, and the way the class immediately took to him (and retained what he taught about energy healing). Gene comes to his classes ready-to-work, and really believes that he has a vested interest in whether the client and/or student "gets it." Gene IS an "Amazing Healer," and he encourages everyone that WE can be, too." "I recently attended Gene's workshop on Energy Healing for Beginners. Gene Krackehl's healing gifts, combined with his expertise in the area and a wonderful sense of humor, provided an extremely rewarding experience. I learned a great deal about the subject of energy healing and techniques used in hands-on healing, as well as insight into my own energies and how those energies affect others. You will surely leave the workshop with a great sense of joy and happiness! 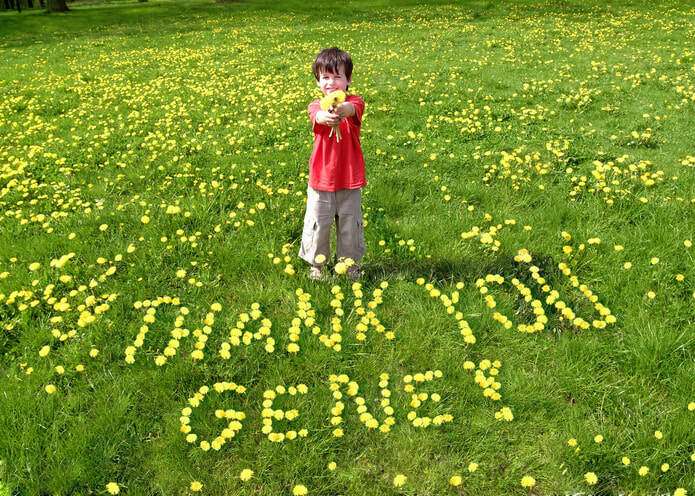 Thank you Gene!" "I feel a sense of peace in my daily life that I have never felt before." "I was moved by Gene Krackehl's unconditional love for all human beings, his knowledge of energy healing and his "hot" hands. His exercises are fun and informative—healing definitely takes place." "I took Gene Krackehl's workshop over two months ago and that one day experience has completely changed the way I view my life and has made me realize the important role I play in the lives of everyone around me. Simply by learning to run energy I've accomplished more results with my family, friends and co-workers than I had ever thought possible, and there was so much more! Gene is a marvelous teacher and has given an enormous gift to everyone in our class." "I entered the Energy Healing class with Gene not knowing if I could be a healer and by the end of the class Gene had me feeling confident and gave me all the tools I needed to do a complete healing session." "Gene's recording [Soundtrack Gene produced for his group healings at Saltana Cave] is brilliant and full of wisdom. All the words and the music are so resonant that one cannot help but feel lifted and healed. And there is much love expressed in his voice. He gives freely from his heart to everyone present. Gene is a gifted healer."